This diocesan office promotes lifelong faith formation for Arkansas Catholics by empowering, resourcing and certifying parish catechetical leaders, coordinators of Christian initiation, parish catechists and Christian initiation teams. We strive to implement the General and National Directories for Catechesis, the Rites of Christian Initiation and other Church documents related to catechesis, Christian formation and initiation. Go to programs and services. 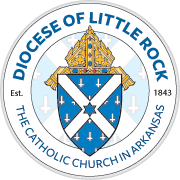 The following is a list of Catholic ministries and programs in Arkansas that focus on faith formation. Click on a link to learn more about that ministry. For more information, please Contact Us. Four-day retreat for adults seeking God and his plan for their lives in the sacred silence. Available in English and Spanish.